The locals are proud to pose with their dead sharks, rays, and barracudas. Many of them will even open the shark’s mouth for dramatic effect. 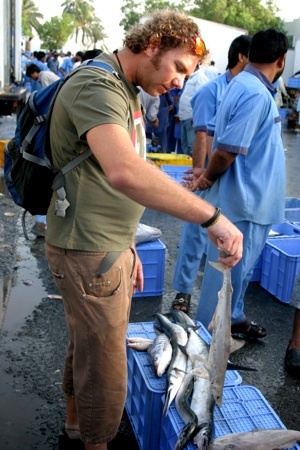 “Picture, picture,” they said repeatedly as Jacques Van Wyk, a South African paramedic who works for a Dubai-based hotel group, led me through a pungent fish souq in Dubai in search of finned sharks. Along with a rusty spade and rebar, we found a few sharks carelessly strewn in the back of a transport truck. One of them may be a juvenile whale shark – the gentle giants of the sea. But (I was privately relieved) we did not witness any finning today. That doesn’t mean it has stopped. Just a few days ago, Jacques witnessed 400 kilograms of fins being driven away. Known at work as the “treehugger,” Jacques (left) first became aware of shark finning when a friend of his took him to a market four and a half years ago. They found a truck full of sharks, which they then followed back to the market where they were being sold. He has been coming to the markets regularly ever since. If this sounds like a clandestine endeavor, that would be misleading. The salespeople fin sharks with as much indifference as nearby merchants sell their vegetables. 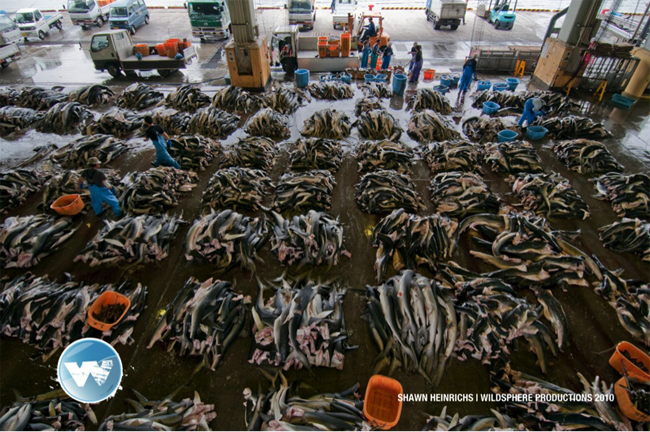 They line the sharks up on a short wall at the far end of the market, slice off their fins, and pile them in a truck. A curious fresh seafood salesman who spoke excellent English, Vijay confirmed that the cheaper fish comes from Oman, but the more expensive fish are caught on lines outside of Dubai. He also explained that dried shark fins are too dry to eat, that they are only used for their taste. Shark meat costs as little as $3 for two pounds, while a baby shark fetches approximately $40. That hasn’t stopped Jacques from dreaming about how to make a difference. In addition to potentially teaming up with Ernst Van Der Poll at Tawasul to screen the film Shark Water at the Jumeirah Beach Dive Center, he is working on plans to help his employer incorporate more environmental programs into their Corporate Social Responsibility portfolio. Also, he and his girlfriend have plans to walk from Abu Dhabi to South Africa in the next couple of years in order to generate overall environmental awareness. Having grown up in the bush in South Africa, Jacques is passionate about nature. “Sometimes I get down in the dumps,” he told me after we finally left the market to get fresh air and process what we had seen. Following the recent revelation that the UAE remains an important market hub for the Far Eastern delicacy of shark fins, and UAE divers trying to crack down on the trade of shark fins, we spoke to the International Fund for Animal Welfare about the need to end shark finning and the important role that fisherman must play in protecting sharks- for their own sake. The International Fund for Animal Welfare was setup in 1969 is one of the world’s largest animals and conservation charities. The Middle East branch works on various projects such as training customs officers to help prevent illegal wildlife trade and promoting high standards for animal welfare, wildlife and habitat conservation in the region. 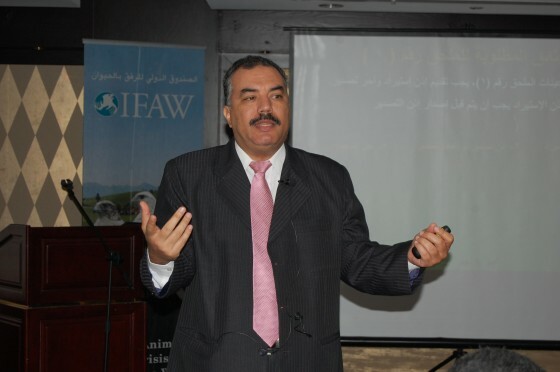 I spoke to Elsayed Mohamed, programme manager for IFAW in the Middle East to find out more about their work to end shark finning. 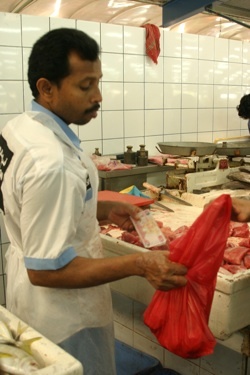 Aburawa: How did the practice and popularity of shark finning emerge in the Middle East? Mohamed: There is no exact information on the emergence of shark finning in the Middle East. 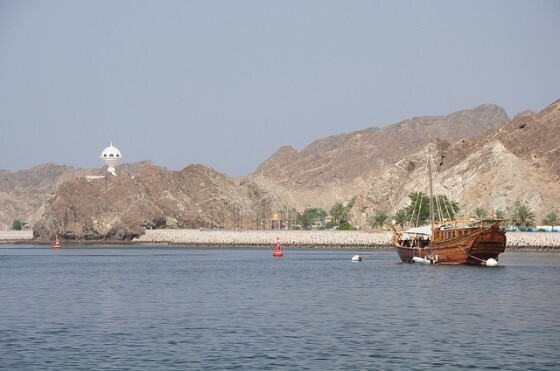 Catching sharks has been a part of fishing activities for centuries but shark finning is not related to any local tradition here in the Arabian Gulf. The shark finning activities is practiced only for export of fins to the Far East to be used in shark fin soup. IFAW was recently granted $7,000 from the Ford Motor company conservation programme to help stop shark finning. 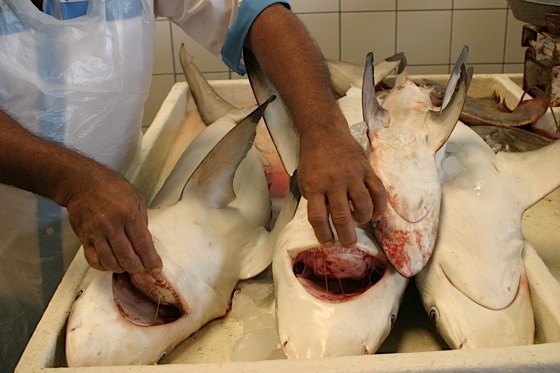 What do you hope to do with the money to help stop shark finning in UAE? We are planning to organize a workshop about conservation of sharks in Yemen in cooperation with the Ministry of Environment in Yemen. The aim of this workshop is to produce recommendations for strengthening shark catch legislation and reaching a shark conservation plan in Yemen. We are waiting for a suitable time to start or preparation for the workshop due to the current unrest in Yemen. 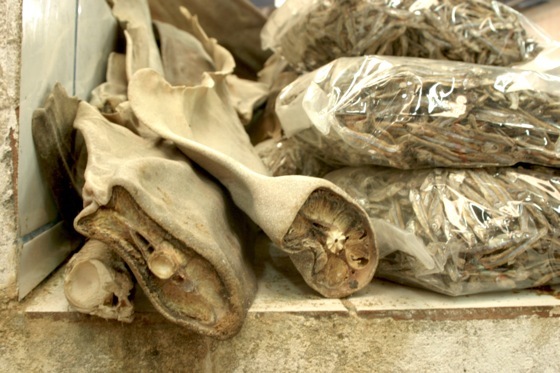 Although shark finning was banned in 2008 in UAE, the shark fin trade continues unabated. Do you think that more legal action is needed or useful to halt shark finning for good? Yes I think there is need for more legal action to implement this legislation and more legislation is needed to protect more species of shark from being over fished in general. But the important point here is UAE is used for re-exporting activities of the shark fin trade to the Far East. many countries in the region are practicing shark finning intensively either due to lack of legislation or lack of implementation of their legislation and exporting the shark fin to UAE to be re-exported to the far east. 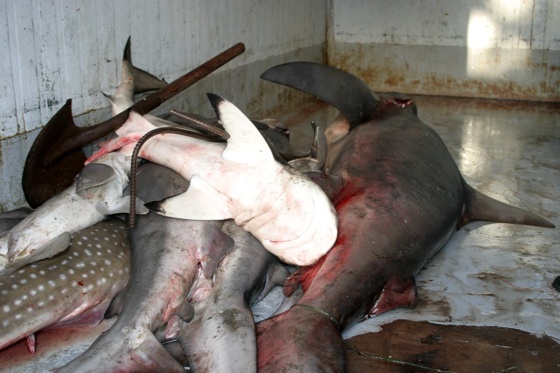 Finally, what can ordinary people do to help stop the shark finning trade? It is not the matter of ordinary people here in UAE or Arabia, it is the fishermen and motorboats owner who need to realise that they are depleting their own resource of sharks. Also it is not reasonable to prevent shark finning altogether, as the fins are a part of the fish and should be utilized like any other part of the fish. The solution to this problem should be based on establishing shark catch quota for each species. Catch quotas should be based on an appropriate regional conservation strategy and monitoring regime for the species concerned and are not detrimental to the survival of the species in the wild. SHARKS AS BIOFUEL: ANOTHER MILESTONE TO EXTINCTION? Even a rudimentary cost-benefit analysis of these incomplete figures shows that the benefit is minimal and accrues only to vessels equipped to process the shark biofuel. The unstated assumption behind the figures put forth is that sharks are a renewable resource or readily available resource. They are far from it. Sharks are already being fished out of our oceans on a staggering scale for the shark fin soup trade and as bycatch. 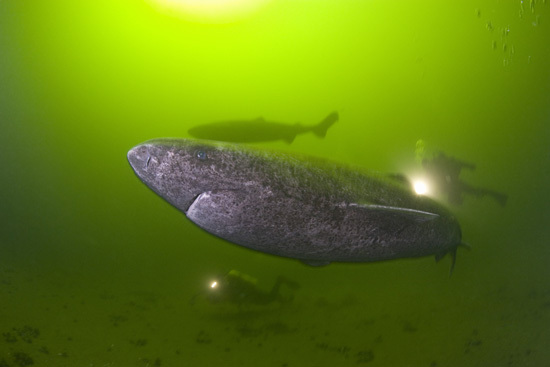 Mako sharks are threatened, and Greenland sharks near-threatened, according to the IUCN’s Red List. You can’t farm sharks and harvest them like corn. Sharks mature slowly, and like many species, cannot thrive in a crowded pen. 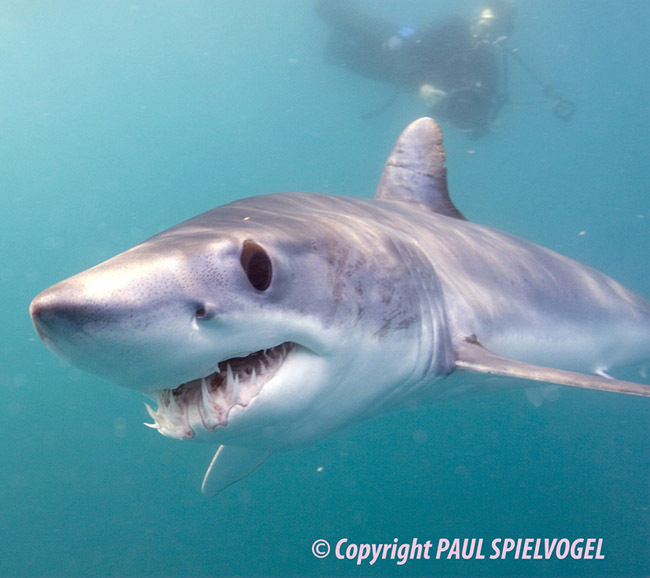 No shark species can reproduce fast enough or is available in sufficient numbers for shark liver biofuel to become a viable, long-term economic option. History should have taught us that the unfettered harvesting of marine animals for their oil leads inevitably down the path of extinction, as the whaling industry demonstrated in the 19th century. Even if the argument could be made that the rest of the shark was used for food, or that it was bycatch and was going to be thrown out anyway, it’s doubtful if sharks could survive yet another economic incentive to harvest them. The kind of overfishing that could occur if the technology for turning sharks into biofuel becomes economically feasible is depressing to contemplate. The event that saved whales from extinction was when they were replaced by electricity as an energy source (whale oil was used for lamps). It would be cruelly ironic if the act that hastened the extinction of sharks was their use as an energy source. In recent weeks, the AB-376 shark fin debate in San Francisco has sparked much controversy and debate. Senator Leland Yee has even gone so far as to accuse the bill proposing a ban on shark fin trade as an “attack on Asian culture”. 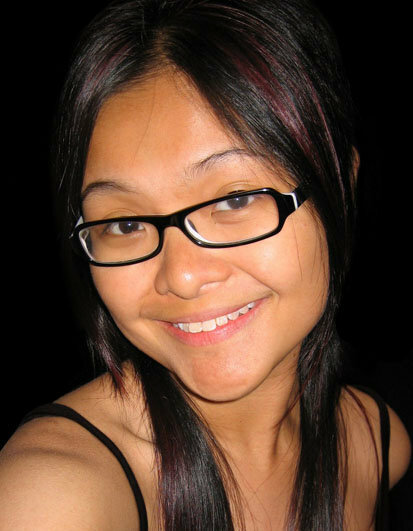 As a Chinese person living in Singapore, I feel compelled to offer my thoughts on this matter. Eighty years ago, my grandfather endured the long and arduous journey across the South China Sea to start his new life in Singapore. He worked for the majority of his years, raising five sons and three daughters. My Ah Gong (as we affectionately called him) passed away without having once tasted shark fin soup. A few years before his passing, Ah Gong returned to his hometown in China. A welcome banquet was thrown by the entire village, and his relatives, close and distant, gathered around to wax lyrical about times past. Shark fin was not offered as a dish in the banquet. Instead, symbolic dishes such as the traditional pen cai – a large round basin of assorted meat and vegetables representing reunion and triumph over adversity – were served up. When I was growing up, Ah Gong would lead us in the celebration of Chinese festivals and traditions. We would share mooncakes during the Mid-Autumn Festival, prepare glutinous rice dumplings during the Dragon Boat Festival, and exchange mandarin oranges during Chinese New Year. These cultural foods all bear colourful histories: Mooncakes were used as a medium for communication in the uprising against the Yuan Dynasty, glutinous rice dumplings were used to mourn the watery death of patriotic poet Qu Yuan, and mandarin oranges have long been phonetic symbols of good luck. As much as Senator Yee might like to have us believe, shark fin has never played a role in traditional Chinese culture. Shark fin remains today as far from Chinese culture as in the Ming Dynasty when only the Emperor and his high court officials consumed it. The ability to serve shark fin may now be a serious matter of social standing but it has nothing at all to do with Chinese culture and much less Chinese tradition. Asserting otherwise is as nonsensical as saying that Louis Vuitton handbags are a traditional Chinese accessory. The teachings of Confucious and his advocacy of the virtue benevolence (ren) is at the center of Chinese philosophical thought. The shark fin trade, with its cruelty, wastefulness and exploitation of third-world coastal communities goes against every grain of this philosophy. At the same time, the doctrines of traditional Chinese medicine revolve around achieving a harmonious relationship with nature through a delicate balance of yin and yang forces. The shark fin trade disrupts not only the balance of nature, but also drives some shark species to violent and premature ends. Harmony is certainly not a prevaling theme there. The consumption of shark fin does not fit in with Chinese culture. It may be representative of pride, power or wealth, but those are personal and commercial realms completely separate from the culture and traditions of an entire race. The Chinese race is proud and intelligent. The wise words of Confuscious and Sun Tze are studied by international scholars and governments. Our cuisine is world renowned. We are arguably the most adaptable race of people, finding ways to live and thrive in countries all over the world. As our traditional saying goes, the San Francisco Chinese, as well as Ah Gong and myself, were born from the same spring. With his accusations of a cultural attack, Sentator Yee has painted my proud Chinese race on the world stage as an ignorant, shallow and mercenary people. He has insulted us and himself by drawing a parallel between our long-honoured traditions and a soup whose only point of importance is price. It is true that the AB-376 shark fin bill is tough and that many people may have to give up a dish they have grown used to. But weigh up the benefits of sustainable livelihoods for at-risk fishing communities, the importance of a healthy ecosystem for the future of our children, and the moral need for us to behave as responsible adults, and the results will resound far beyond religion, race or culture. ~ by FSVSF Admin on 16 May, 2011.